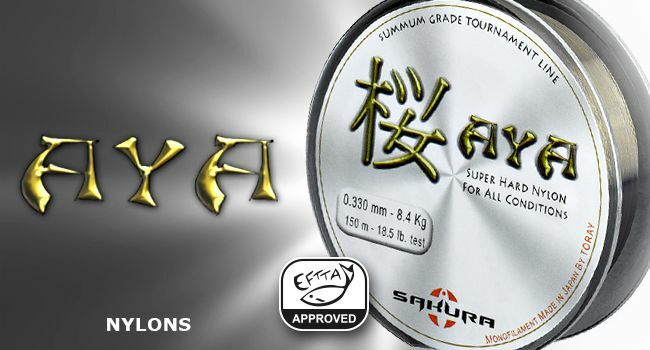 Present on the market for high-end fishing lines through partnerships with Japanese companies such as Toray, SAKURA offers here a complete range of nylon monofilament. 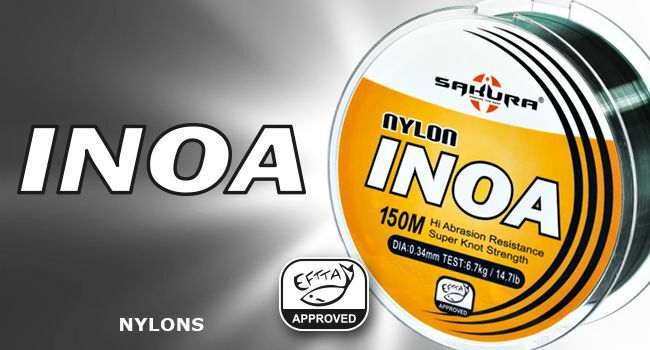 The Nylon lines are selected to complete a spinning or casting setup for fisheries where sensitivity and power are key factors, but the elasticity and cushioning of monofilament are needed. Thus, we recommend using this type of fishing line to catch when using spinnerbait, crankbait, buzzbait, jerkbait and topwater (surface lure). The elasticity of nylon allows to absorb the strong pull or vibration of the lure and increase success by giving slack line necessary for the fish to engulf the lures while they are in motion. Note this important point about our range of monofilaments: all are 100% certified EFTTA and meet the exacting standards of the Charter concerning respect diameters and strength monofilament. For the sake of honesty and transparency, Sakura had anticipated the call with the AYA line that was already certified by the I.F.T.H. Since its market launch in 2007.